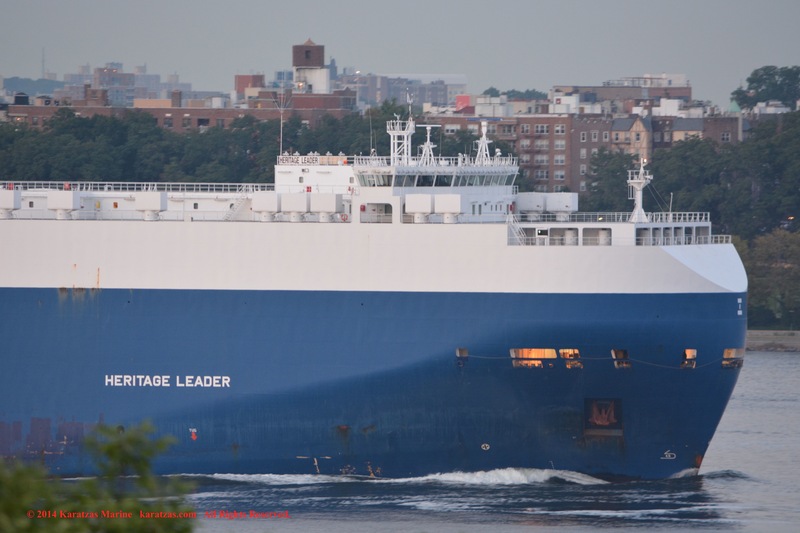 OWNER / MANAGER DETAILS: Ray Shipping, Israel, URL: raycarcarriers.com. 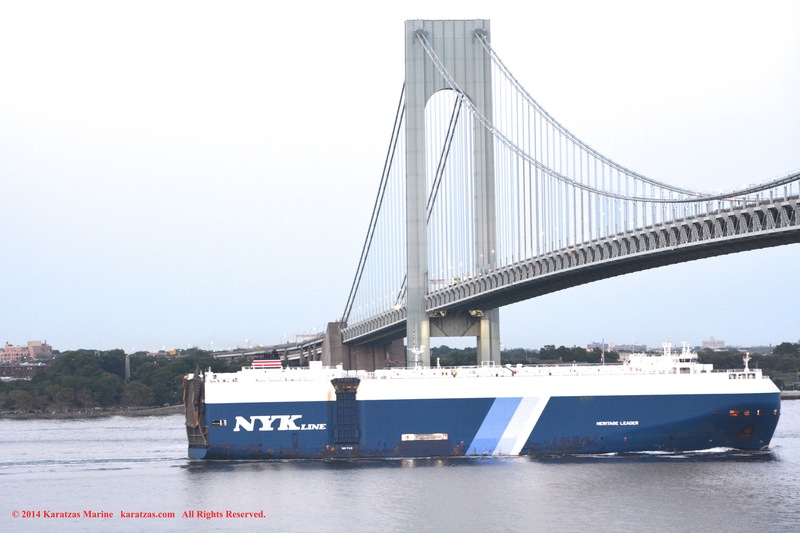 SPECIALIZED DETAILS: Vehicle Capacity of 6,697 Cars, 12 Vehicle Decks, 1 Quarter Ramp(s) with a maximum load of 150 tonnes, 1 Side Ramp(s). 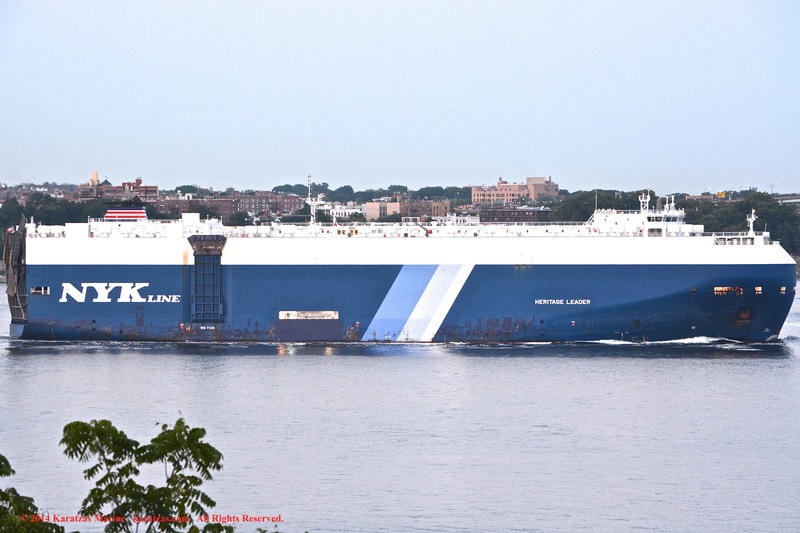 Crew complement of 24 people. 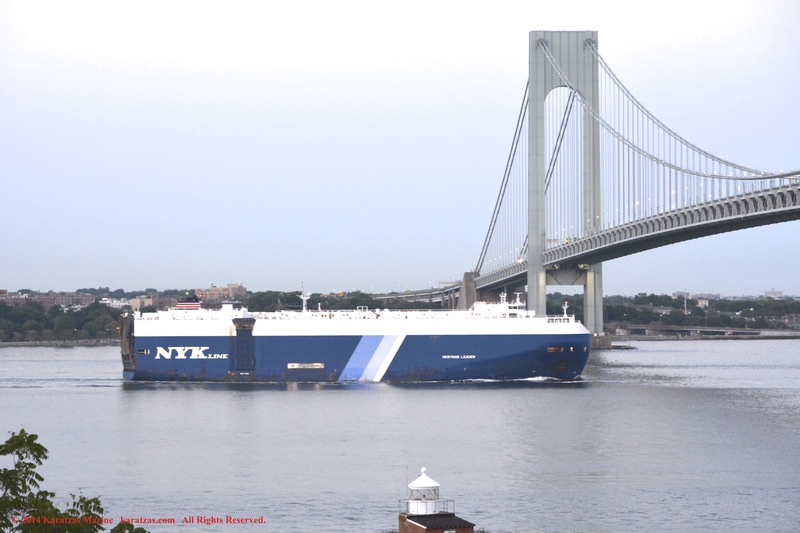 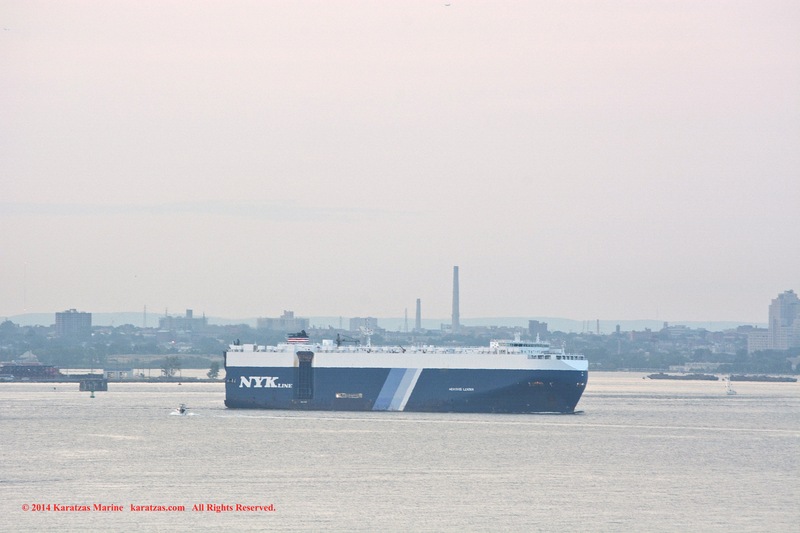 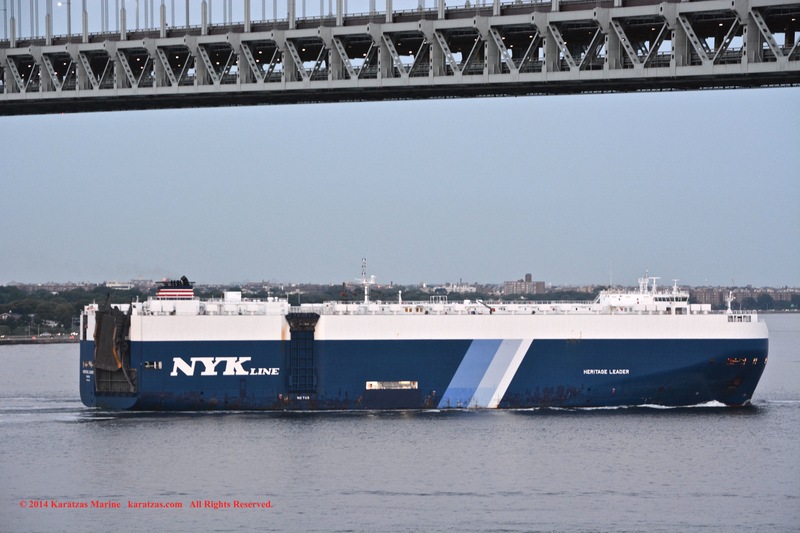 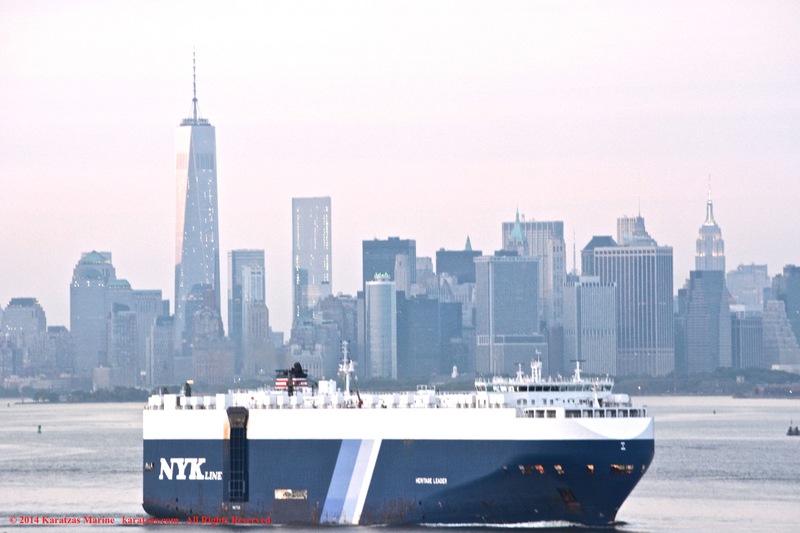 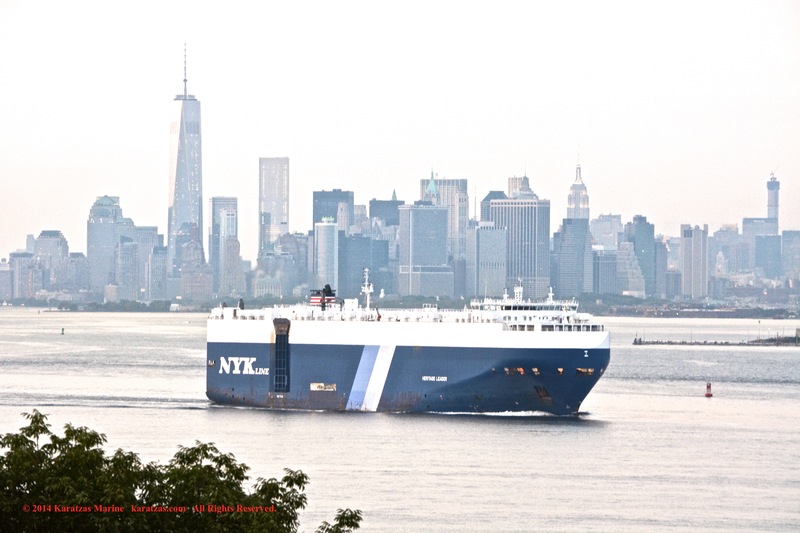 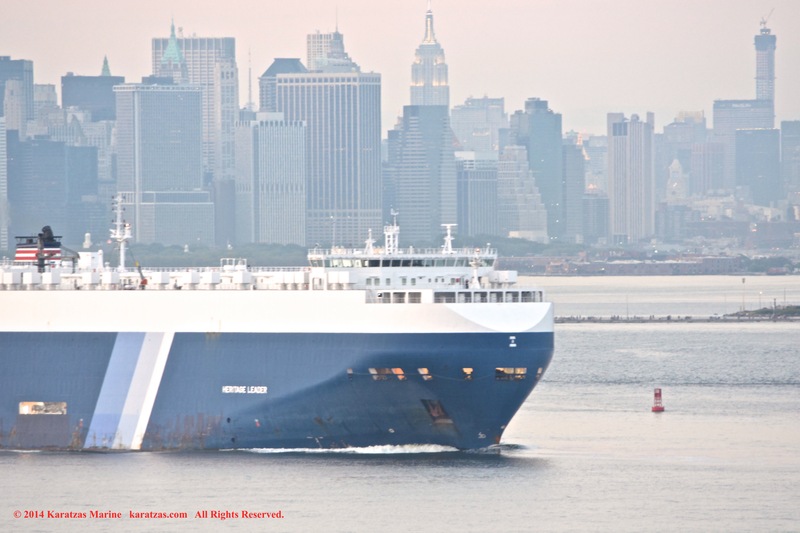 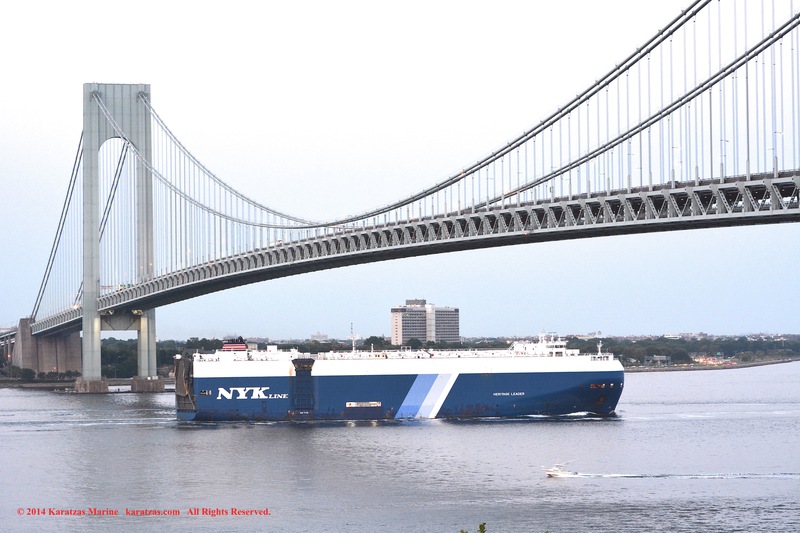 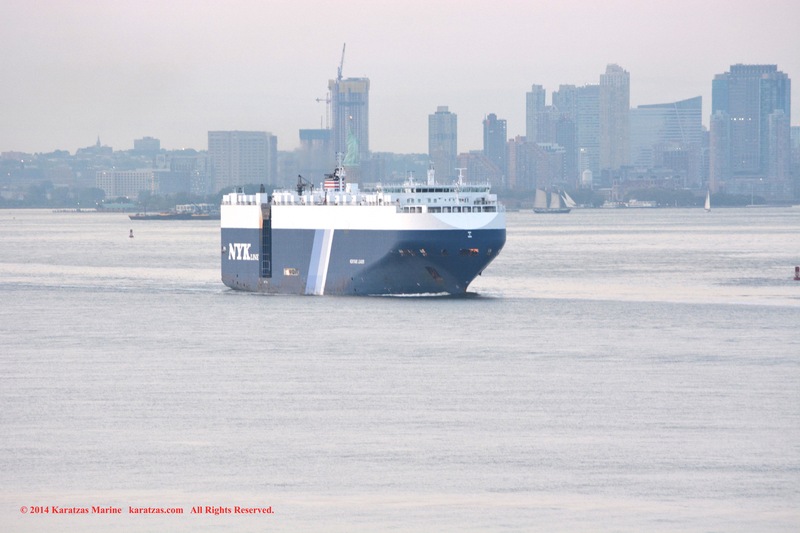 This entry was posted in Port of New York, Pure Car Carrier and tagged Basil Karatzas, Car Carrier, Karatzas Marine, Karatzas Marine Advisors & Co., Manhattan skyline, New York Harbor, NYK Line, Verrazano by Karatzas Marine Advisors & Co.. Bookmark the permalink.